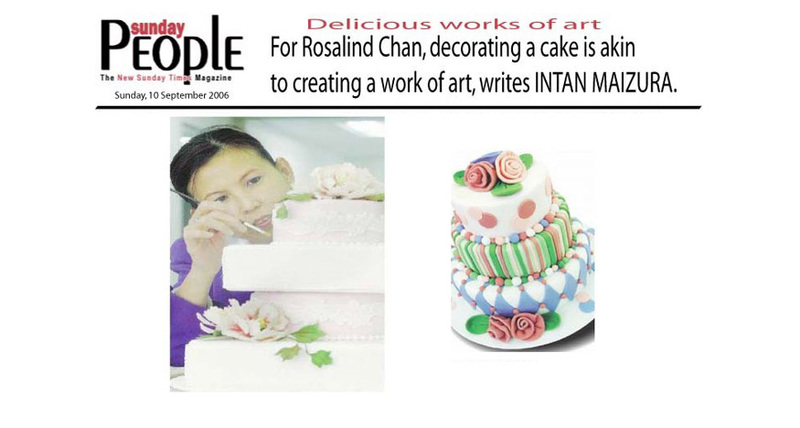 For Rosalind Chan, decorating a cake is akin to creating a work of art, writes Intan Maizura. 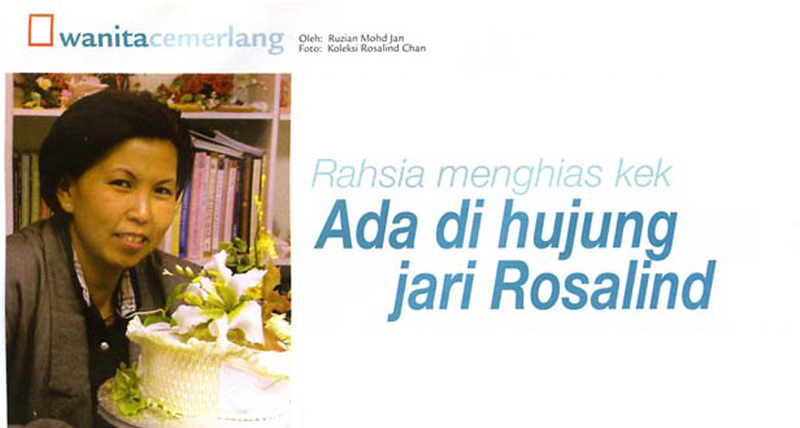 Bagi meraka yang berminat dalam bidang pembuatan kek dan seni menghias kek, nama Rosalind Chan mempunyai daya tarikan yang terdendiri. 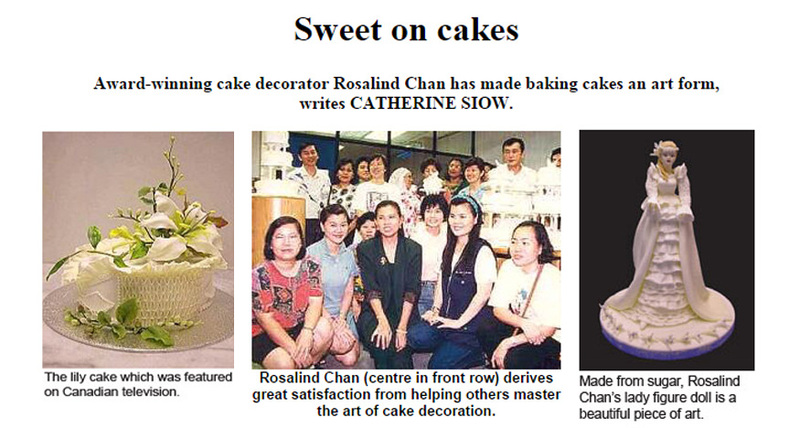 Award-winning cake decorator Rosalind Chan Has made baking cakes an art form. Drawn to baking from a very young age, coupled with a keen eye for detail and colour, Rosalind Chan aspired to pursue her childhood interest when she grew up. When the opportunity came up 13 years ago, Chan turned her passion into a profession and set up Rosalind's Cake Artistry, specialising in teaching cake decorating and sugarcraft.